Welcome to Captains’ Quarters. Feel free to call Doris at 800-824-2867 to help with your reservation. Your summer vacation at the beach is a phone call away. Give us a call to reserve your room. 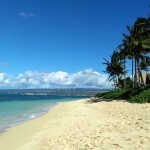 If you are looking for the perfect vacation rental, you have come to the right place! Book on-line now or give us a call if you need help with your reservation for stays less than the required minimum or non-Saturday arrivals. 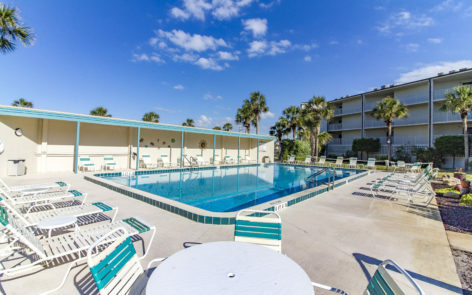 Captains’ Quarters is located on beautiful St. Augustine Beach and minutes from historical downtown St. Augustine, Florida. We are a small direct oceanfront three story complex that has all the comforts of home during your stay. Relax and enjoy your morning coffee on your balcony watching the sunrise over the ocean. 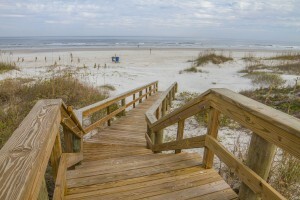 We have a private beach walkover or drive directly on the beach from Dondanville Road. 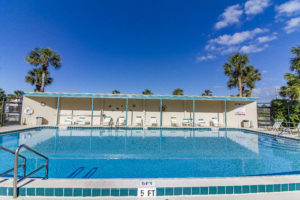 Our beautiful pool has a covered cabana for relaxing and reading poolside. 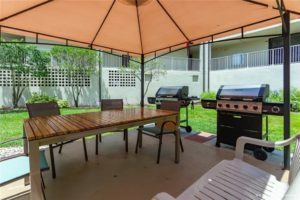 Gas grills are provided in our courtyard for grilling out along with a clubhouse that can be reserved for your pleasure. Each unit has their own assigned parking space inside the garage located under the building. We provide two elevators, shopping carts and luggage carts for your convenience. 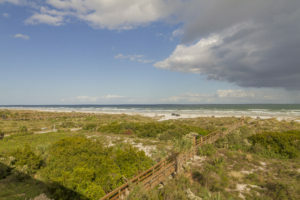 All units are either direct ocean front or a beautiful ocean view. Units are 2 bedroom, 2 bath totally furnished with linens and washer/dryer located within each unit. Orlando is a short day trip away with Disney World Magic Kingdom, Epcot, Animal Kingdom awaiting you. Discovery Cove where you can swim with the dolphins , or Sea World and Universal Studios. 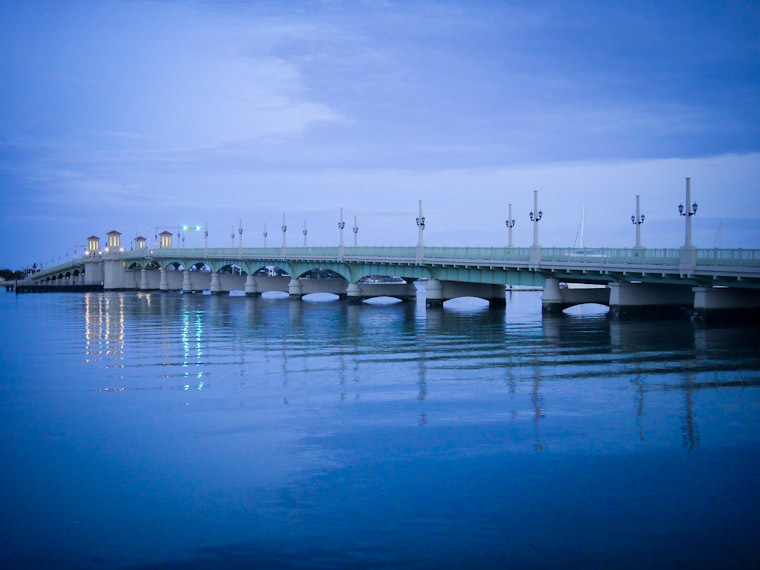 Historical downtown St. Augustine has plenty to offer with ghost tours, carriage rides, or sightseeing trains. Walk the old historical cobblestone streets and shop the many local merchants or visit the old fort located in downtown. Enjoy the evening relaxing and dining in one of the many restaurants that is located downtown overlooking the waterway. 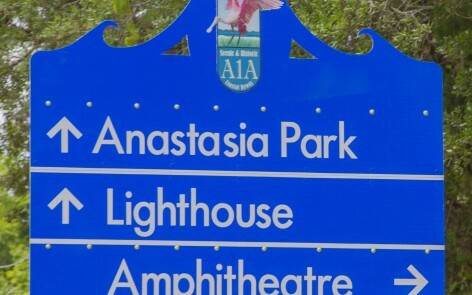 Visit the St. Augustine Alligator Farm, Ripley’s Believe It or Not, Potters’ Wax Museum, Old Jail or climb the stairs to the top of the lighthouse. 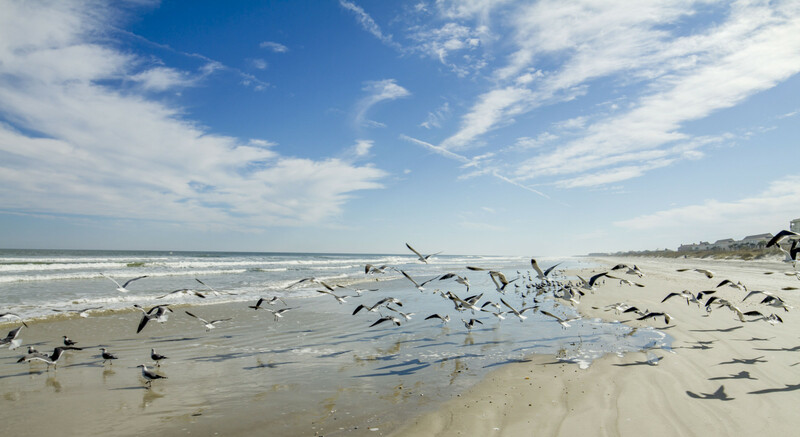 St. Augustine has something for everyone to enjoy. 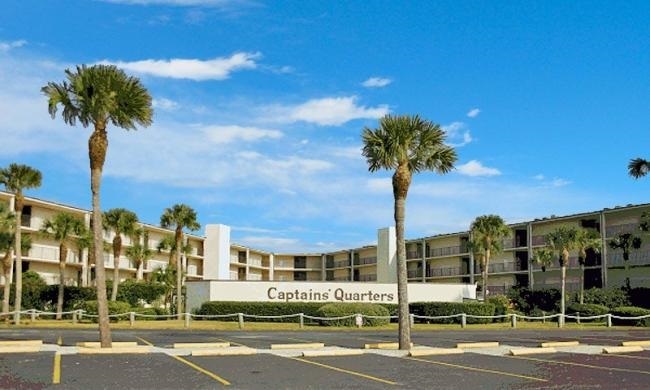 Shopping, entertainment, and restaurants all within walking distance of Captains’ Quarters.